Over the weekend, my roommates and I pieced together the first few parts of our second aquaponics setup. 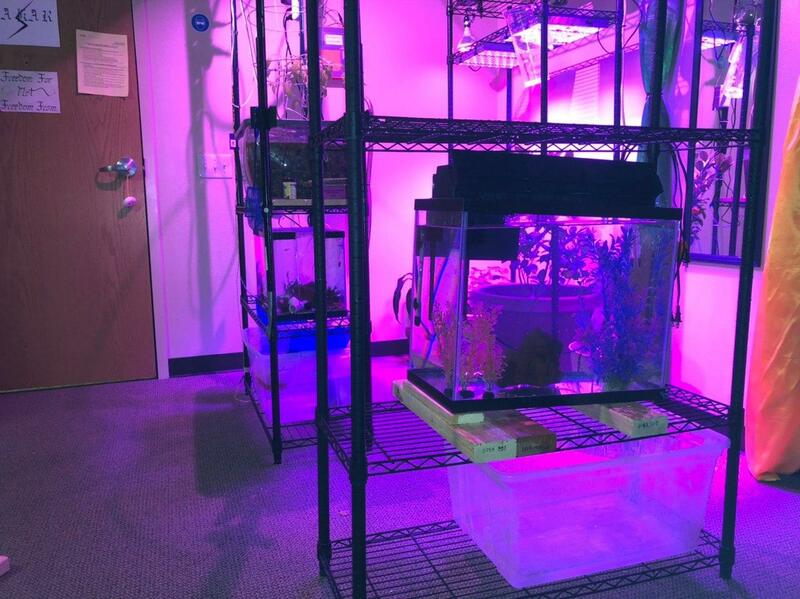 So far, we have set up the shelving unit and placed the 15-gallon fish tank in the middle. Our plan is to have the fish tank overflow into the bottom sump tank, so we decided to tilt the fish tank a few degrees. This will make one end further down than the other so that water spills over in a controlled manner, which eliminates the need for overflow holes to be drilled into the tank itself. 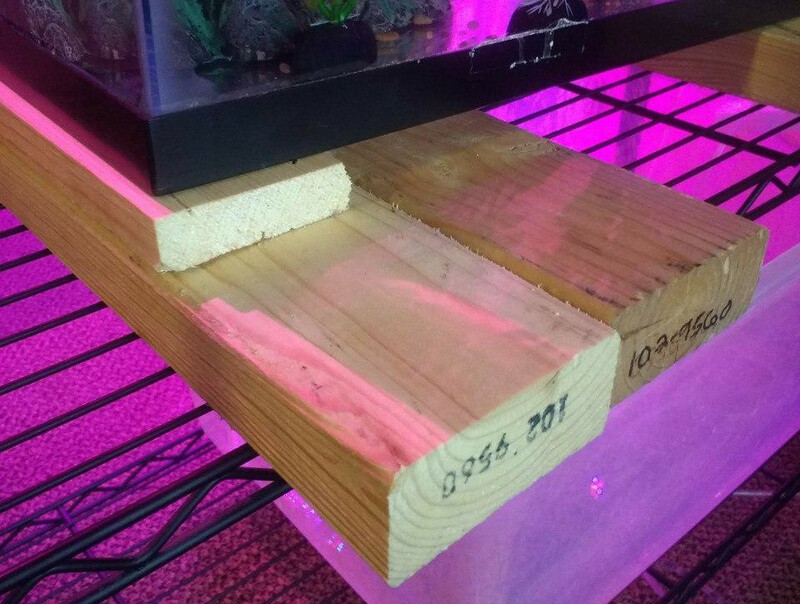 By cutting the boards slightly longer than the width of the shelf, we are able to distribute the weight of the 115 lbs of water on the strongest parts of the shelf. We're thinking of putting the lettuce and spinach in the new setup, and putting kale, parsley, and oregano in the original unit. 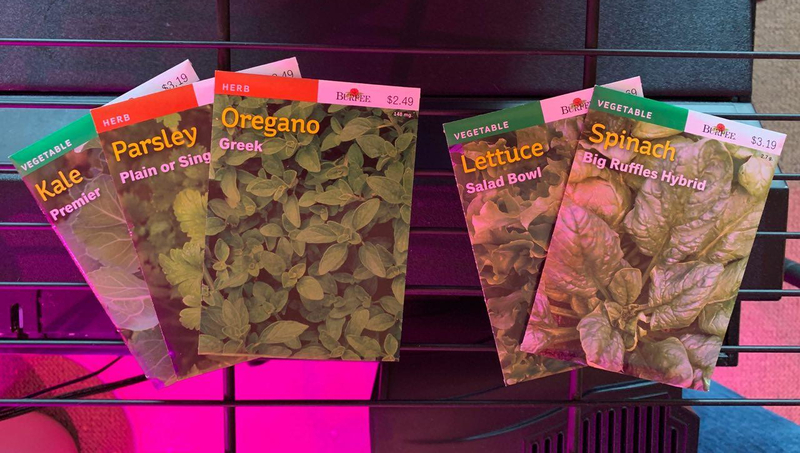 From our research, these plants are able to live well in low-nutrient conditions. Besides working on our aquaponics, I also spent an enormous amount of my time doing signals homework this week. While the assignments were a struggle, I do feel as if I am rapidly expanding my ability to intuitively understand complex numbers. I am hoping from here out I better learn to time-manage, and can fit in time to do signals homework earlier so that I can get more time sleeping. I have also been spending a lot of time working on Hall Government (I am president of Mathew Living Learning Center's Hall Government). This week, we crafted and approved an enormous purchase request for hall improvement. I am hoping it is received well by others that need to approve it. At John Deere (the place where I intern), I've started testing boards in the lab. I've learned about the four-point resistance measurement technique. This technique allows more accurate resistance measurement by removing contact and lead resistance from the measurement. This is done by passing a known current throught the component to be measured, then using a voltmeter to measure the voltage across the components. This means there is no current flowing through the voltmeter probes, and hence they do not create a voltage drop. Using Ohm's Law, it is then easy to calculate very accurately what the resistance of the component is. Check back soon to hear more about aquaponics and Signals!